7-Jason, born 1974; Jacque(Jackie),born 1976; Jonathan, born 1978; Jordan, born 1983; Jodi, born 1986; More…Jenette, born 1988; Jacob, born 1993. After graduating from BHS in '66, my family moved to Cedar City, where I attended college at Southern Utah State College, now Southern Utah University. In 1967, I served a mission for the LDS church to southern Australia until 1969. Upon returning I re-enrolled in school at SUSC. The next year, I met my wonderful wife, Julye. She was a cheerleader at school. We courted for some time and married in December 1971. After graduation in 1972 in business and accounting we moved back to the Salt Lake area where I began my professional career. 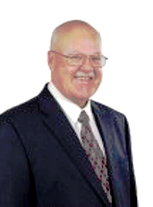 For the last 43 years I have been a practicing accounting and tax expertise in all areas. We have seven amazing children and 17 (almost 18) grand children. We currently live in West Valley and are active in church and civic affairs. Great memories of BHS. As with all good things, some memories are not so great. 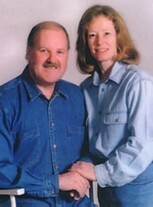 One of the great times I had was with my best friend at the time, John Hanks. We were in the musical "Oklahoma". There was a fight scene between the farmers and ranchers where we really got into it. We choreographed an entire fight with John ending up over my shoulder when "Aunt Eller" fired off a shot to break it up. If you check the yearbook for that year, you will see several photos of the production. What a great time!!!!!!!!!!!! Don Jex has a birthday today. Don Jex added a comment on his Profile. New comment added. Don Jex has a birthday today. New comment added. Don Jex changed his "Now" picture. 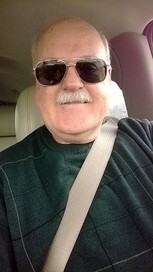 Don Jex updated his profile. View. Don Jex posted a message. Hey Drew, You back in town? Let us know what's been happening. Don Jex changed his profile picture. New comment added. Don Jex added a photo to his profile gallery. Don Jex posted a message. New comment added. Welcome aboard Cheryl. I hope we will be seeing you at the reunion. Joy, I drove past my old house in the old part of town down on 200 South and 200 West. I know Mike Johnston knows that area. His dad used to have Colonial Lumber which was almost across the street. I know how much the old homestead means to us. Lots of great memories. They can't tear those down. Don Jex added a comment on his Profile. Welcome to the site Becci. It has been so many years. I always wondered what happened to you after high school. We had some fun times back then. Congratulations on your success as an artist. If you get a chance, post some of your work here. I am certain we would all like to see it. See you at the reunion? Hey Vickie, welcome to the web site. I have wondered what has been going on with you, now I know. Congrats on the educational accomplishments, but more importantly on the role of a mother to your children. Looking forward to seeing you at the 50 year reunion. Don Jex changed his "Then" picture.